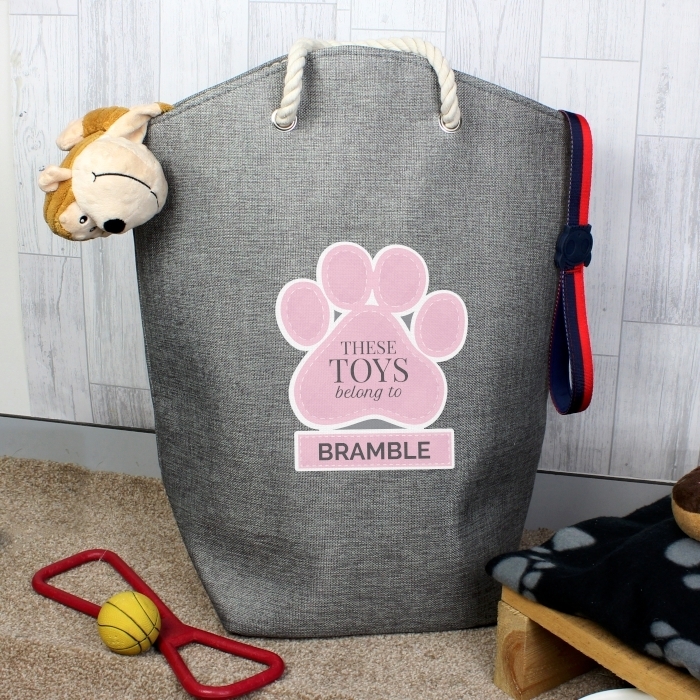 When it comes to keeping the dog’s toys and blankets neat and tidy, our Personalised Pink Paw Print Storage Bag is the perfect accessory. 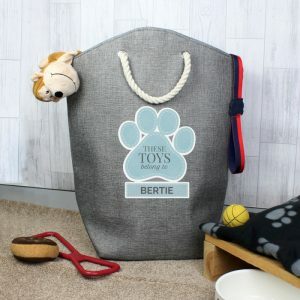 This stylish storage bag features practical and stylish rope carry handles, is made from sturdy polyester and also features a sturdy base, allowing it to maintain its shape whether empty or full. 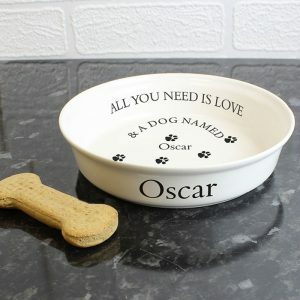 Add your pets name with personalisation of up to 12 characters, all personalisation will appear in fixed uppercase. 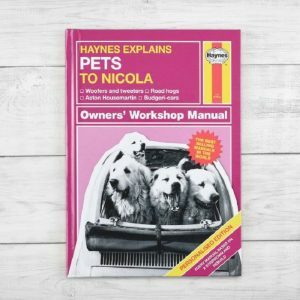 Please note the words ‘These toys belong to’ are fixed text. 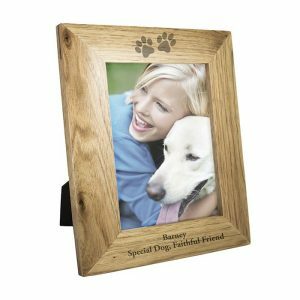 A superb gift for any pet lover or simply to keep your own home organised!